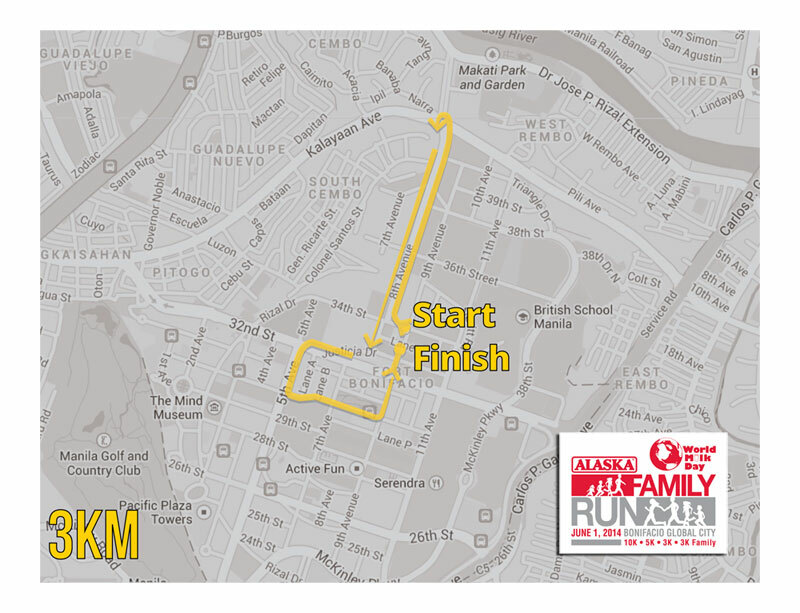 *Child participant’s age (on 3km Family Category) must be up to 14 years only as of December 31, 2014. *Registration is non-refundable, non-transferable, and non – downgrade/upgrade. 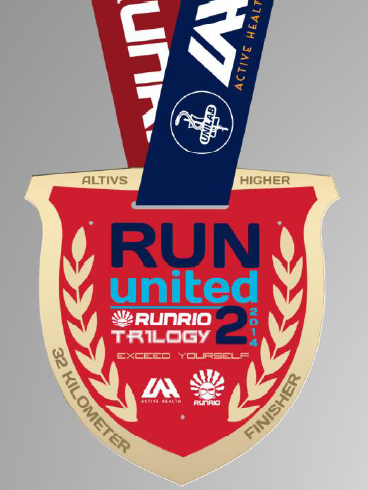 *Registrants will be receiving a race packet with a BIB NUMBER upon registration. Singlet can be claimed starting May 20, 2014. Step 1: At the computer provided, encode all details on E-Registration Form, double check the details. Personnel MUST make sure all details are given. Step 2: Once accomplished proceed to CASHIER for biometrics, payment and bib releasing. Cashier MUST encode the bib number to the system before releasing for backend documentation. Make sure bib number encoded is correct. Step 3: Proceed to SINGLET SAMPLE area to check available sizes. Note that singlet size is subject for availability. We follow first come, first serve basis. SINGLET AVAILABILITY IS BY MAY 20, 2014. Step 4: Once done with sizing of the singlet (no fitting, participant can only check the size), you must let the registrant have a photo shot at the ALASKA MILK MUSTACHE Photo booth as part of the registration procedure. 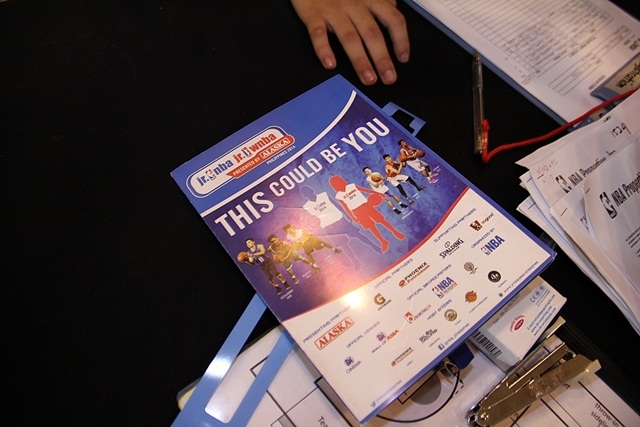 If registrant refused not to take a photo, it is a MUST to take note of the Name, Category and BIB number. Personnel will edit the photo and clipped it with a milk mustache. All participants must wear their assigned Bib/Race number. Participants not wearing their race number will be taken off the course and is not allowed to win. Participants who commence before his/her actual start/gun time will be disqualified. On the cue of a start shot, the starting line rope shall be released to indicate the start of the fun run. Cyclist Marshals and a pace car shall guide the participants along the route of the fun run. 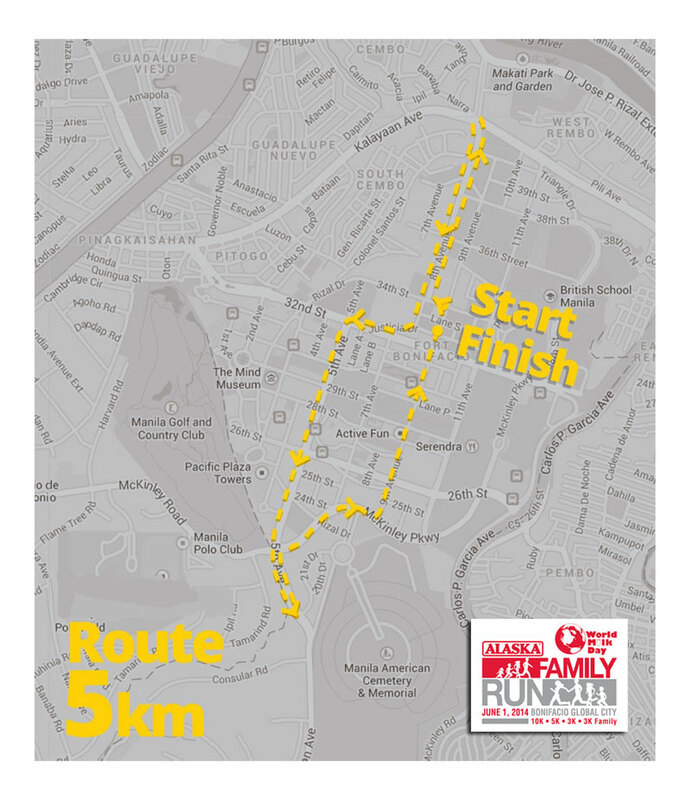 For 3KM Family category—family members should cross the finish line at the same time. 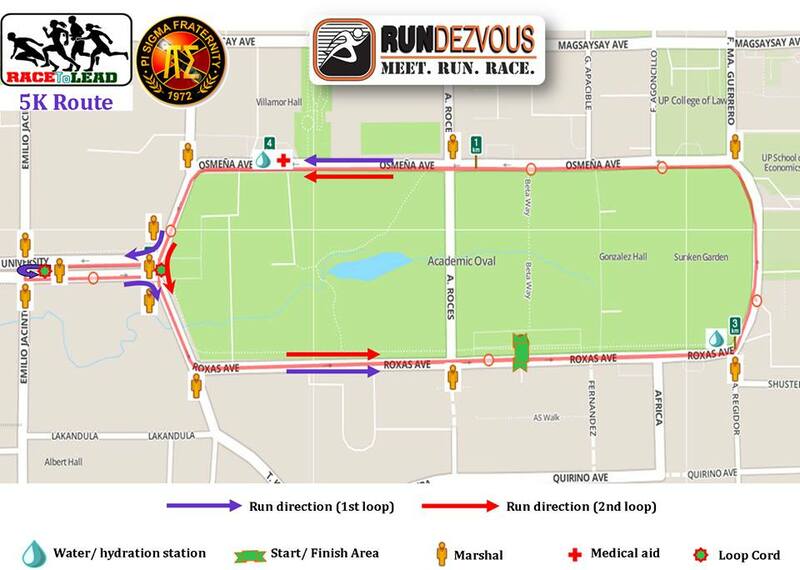 Water stations will be available on the indicated portions of the route. Paramedics will be on stand-by at designated portions of the route. A sweeper (car or van or truck) shall pick-up the runners who cannot run anymore for health reasons. Marshals patrolling the route are in charge to assess the participants’ conditions. The organizers reserve the right to cancel the event without notice should they consider this necessary for safety reasons. 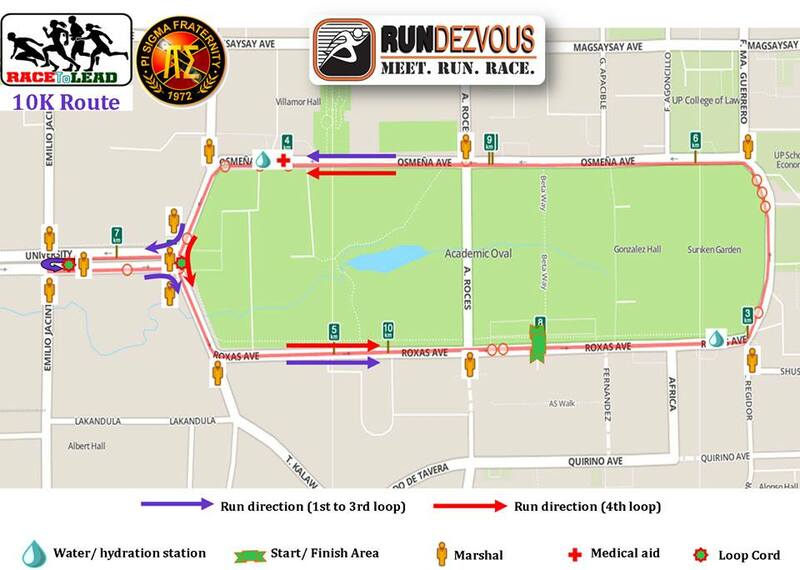 However, the organizers will exert all means to post prior notice, whenever possible, at the race website for any change to the event details, or for cancellation of the event due to inclement weather and/or force majeure. No dogs permitted to accompany runners. 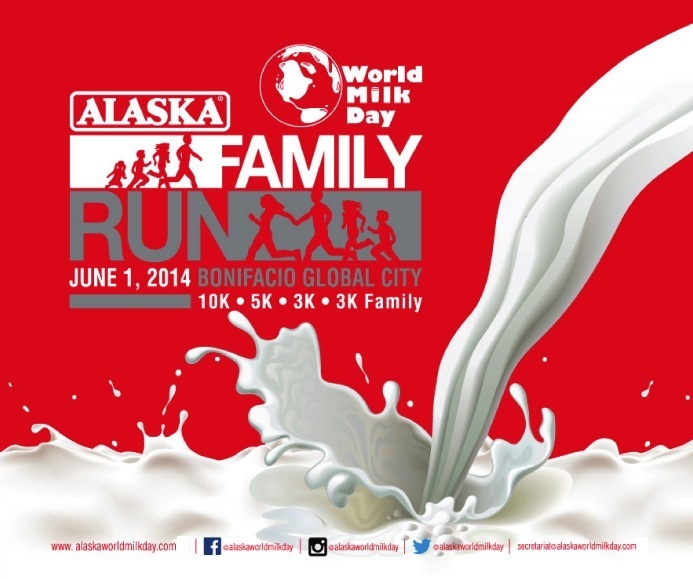 Registration is open until May 25, 2014 or when target count of participants is reached, whichever comes first. 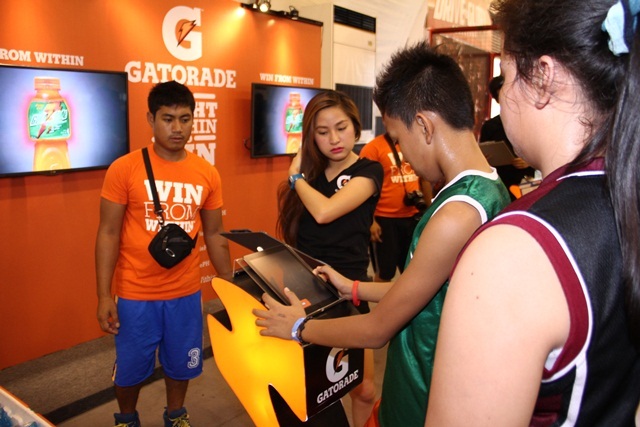 SLOTS AND SINGLET SIZE IS ON A FIRST-COME, FIRST-SERVED BASIS. There isn’t much race events with the University of the Philippines campus as venue and somehow you’ll begin to miss those years where there was a UP run event almost every weekend. But fret not, here is a race where you can have a “UP race throwback moment” – UP Pi Sigma Fraternity’s RACE TO LEAD! Sign-up for it, you not only get to run a race around the UP Academic Oval, you also get to contribute to the PSFAA’s Student Leadership Development Program! 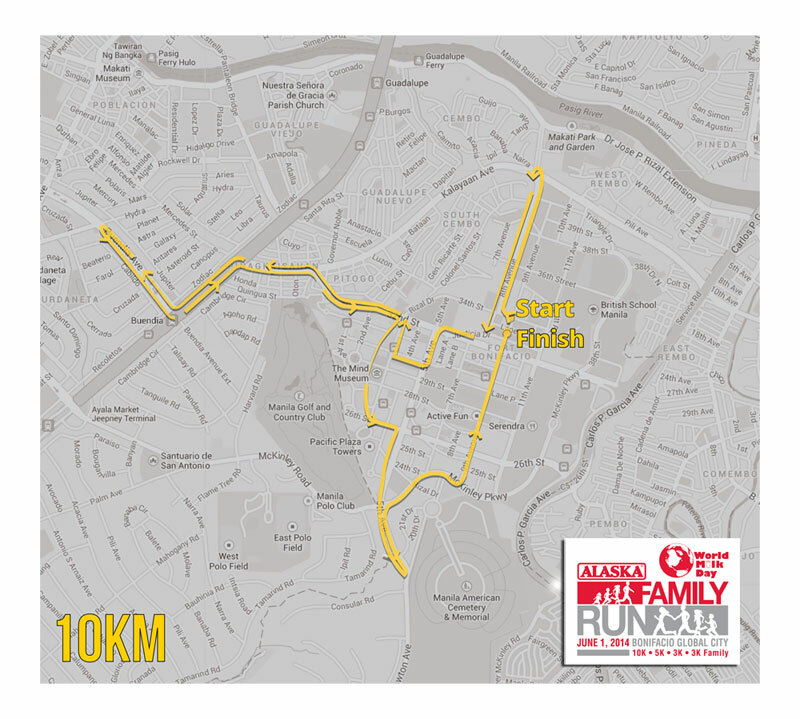 April 16, 2014 Diliman, Quezon City (FOR IMMEDIATE RELEASE) – The Pi Sigma Fraternity of the University of the Philippines Diliman and the Pi Sigma Fraternity Alumni Association, Inc. (PSFAAI) present Race to Lead on May 4, 2014 to be held in University of the Philippines Academic Oval. This is in support of the Student Leadership Development Program of PSFAAI. 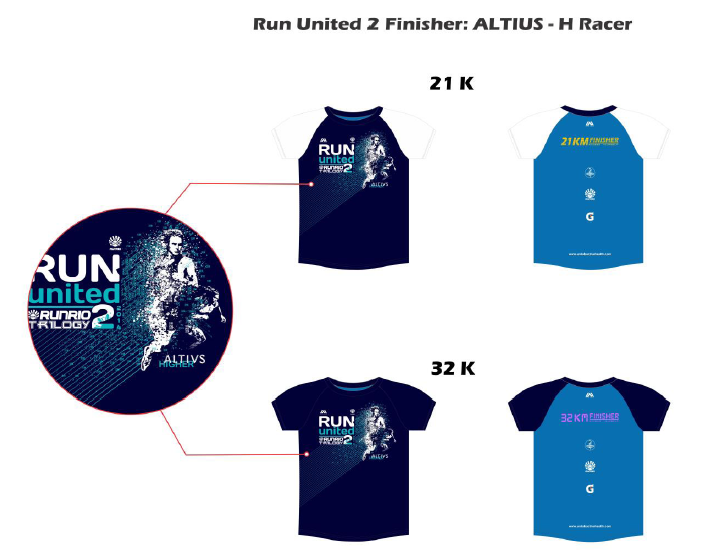 In store registration is available in all Second Wind Running Specialty Stores (Malingap St., Teachers Village Quezon City/Unit 107, G-Strip, Greenhills Shopping Center, San Juan/Ortigas Home Depot Julia Vargas, Pasig City). 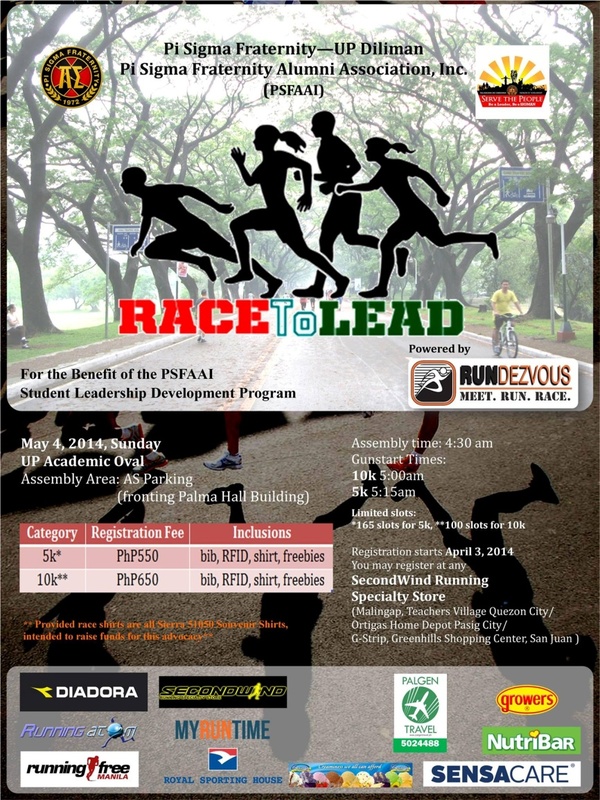 Race to Lead is co-presented by Diadora Philippines, organized by Rundezvous Inc. in partnership with Running Atom and Running Free Manila. Special thanks to Growers Nutribar, Creamline, PalGen and SensaCare. For more information about Race to Lead, interested participants may visit the Rundezvous, Inc. page (https://www.facebook.com/RundezvousInc). Alaska IronKids Philippines held its first triathlon of the year at La Stanza in Marikina. This is the second in the Alaska IronKids Philippines series of races for 2014, which kicked-off with an aquathlon race last February at BF Homes, Parañaque. This year, Alaska IronKids Philippines will be starting a non-competitive, no-age category, dividing each race into three parts: Race; Play, which is non-competitive and has no age categories; and Relay, which is composed of two mix age groups. The Play category was added to encourage more children to try out the sport and just join the races for the fun of it, without the burden of competition and the pressure of winning. These days, the only exercise children seem to be doing is surfing, the digital kind that is. Instead of playing outside with their friends, today’s children stay indoors, glued to the TV or to videogames. It is no wonder then that 2 out of 10 Filipino children, 10 years old and below, are overweight while 3 of 10 children are undernourished as seen in the results of the 7th National Nutrition Survey conducted by the Department of Science and Technology-Food and Nutrition Research Institute (DOST-FNRI). 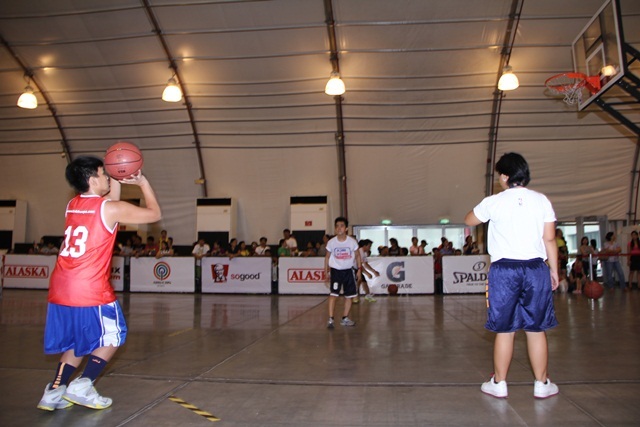 Alaska IronKids Philippines is the country’s very first triathlon event for the youth. Since holding its first race in 2012, the local triathlon series has grown in leaps and bounds, grooming young triathletes that have become the pride of the Philippines in international competitions. 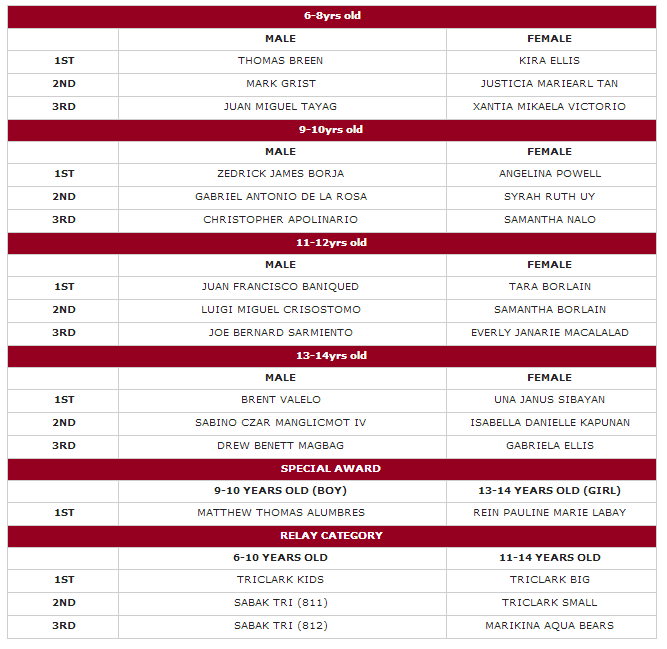 Being the local junior version of the international triathlon series, Ironman, Alaska IronKids Philippines Triathlon has produced champions, on and out of the podiums— children who are not only committed to winning but also ones who understand that losing is also winning, having learned the values of determination, hard work, teamwork, discipline and sportsmanship from their experiences in the race. This Sunday (April 13, 2014), Alaska IronKids Philippines will be holding its first triathlon of the year at La Stanza in Marikina. This is the second in the Alaska IronKids Philippines series of races for 2014, which kicked-off with an aquathlon race last February at BF Homes, Parañaque. This year, Alaska IronKids Philippines will be starting a non-competitive, no-age category, dividing each race into three parts: Race; Play, which is non-competitive and has no age categories; and Relay, which is composed of two mix age groups. The Play category was added to encourage more children to try out the sport and just join the races for the fun of it, without the burden of competition and the pressure of winning. 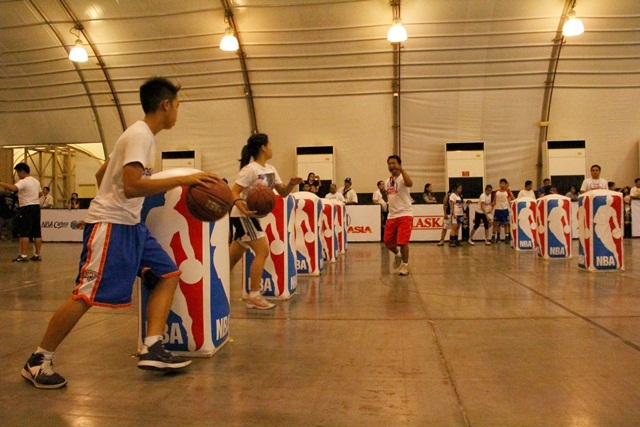 Last April 12 was my first time to actually witness what happens at an Alaska Jr NBA/WNBA Selection Camp. 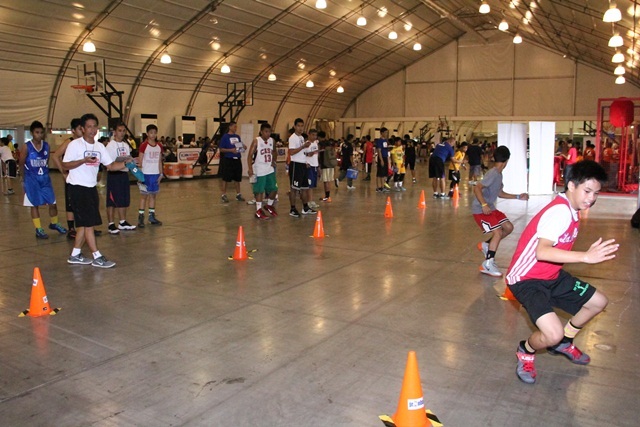 The selection camp which is a two-day “elimination round” of sorts happening at various regions in the whole country going as far as Cebu and Iloilo. 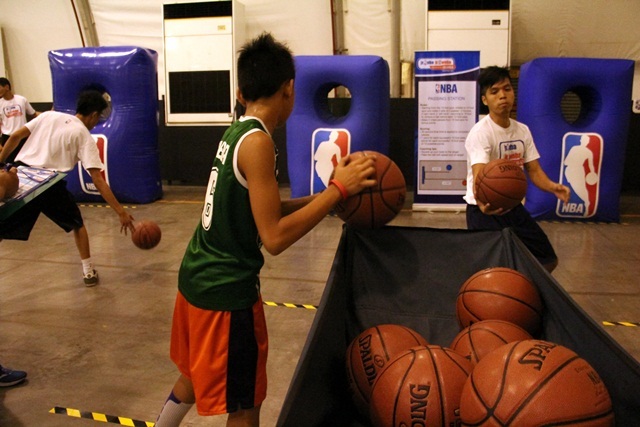 Each selection camp produces around 10 – 20 young boys and girls who will be that region’s representatives to what will be the culminating activity which is the Jr. NBA/WNBA National Training Camp. 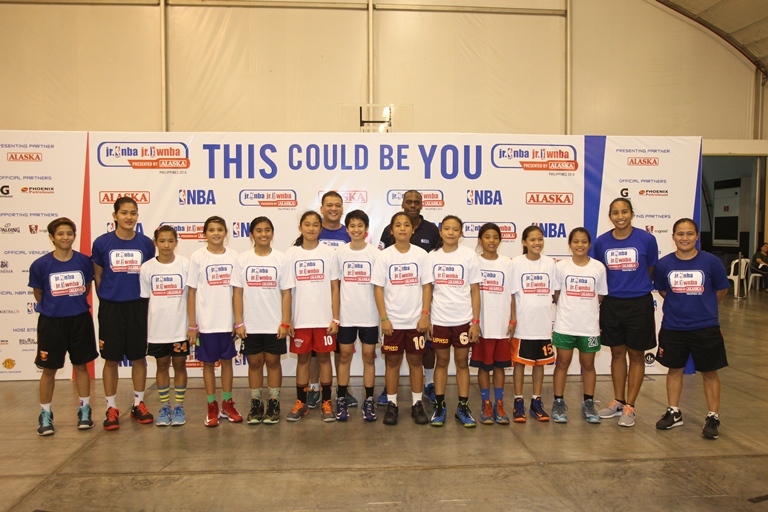 At the National Training Camp, the cream of the crop will be chosen from all the regional hopefuls and will comprise what will be 2014’s Jr. NBA and WNBA players. 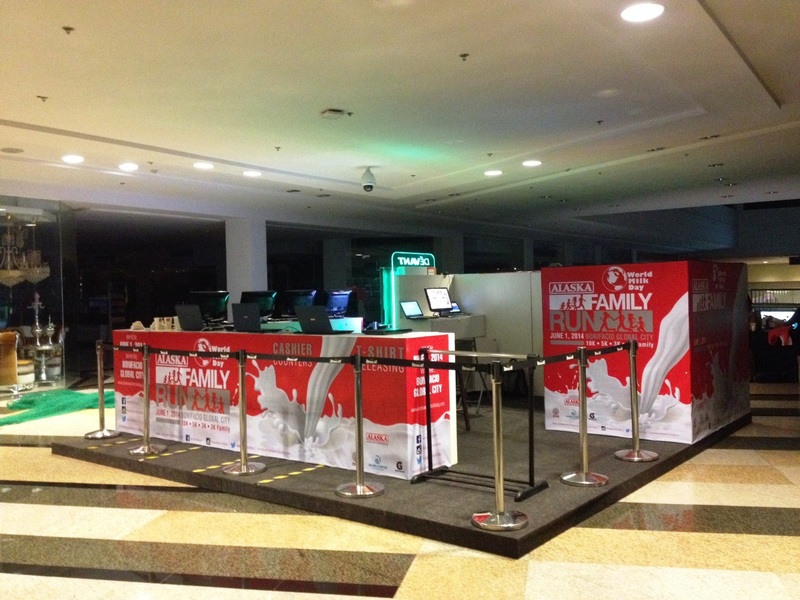 When I and the other bloggers arrived at the PICC forum for day 1 of the Manila Selection Camp, we were greeted with the site of hundreds of young boys and girls – the biggest turn-out from all the Regional Selection Camps ever held – either all lined-up in registration, on different skills stations or waiting for their scores to be tallied. At the camp, each one is to undergo trial at various skills stations where they get to have their scores or grades recorded in their camp cards. 1. The Vital Station: this is where basics such as the camper’s height, wingspan, core strength and vertical lift are checked. 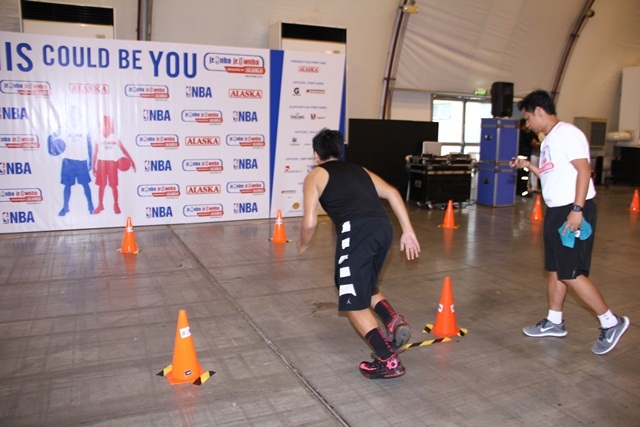 There are about 5 stations for each skill and each station is manned by a number of coaches which not only grades each participant but also teaches and provides tips about the particular skill that station is for. 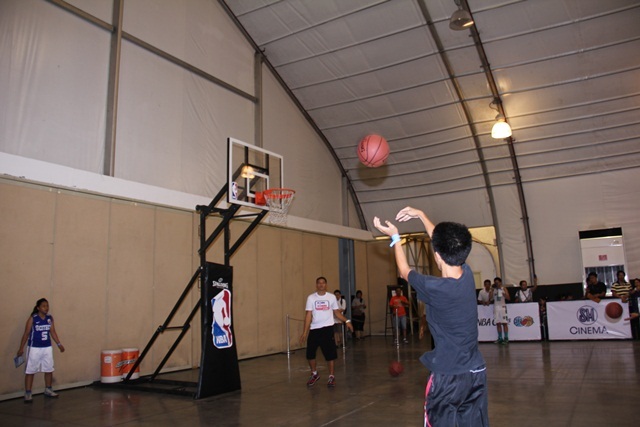 While going through each station or right after finishing, the kids can also go to the different sponsor booths for some play or break time. 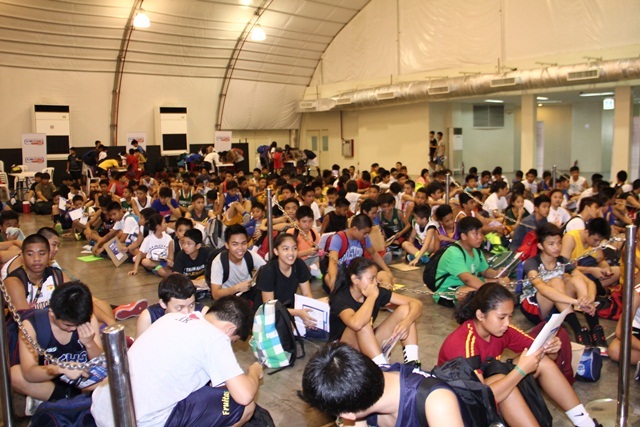 Seeing all these kids from those who are lined-up to register and those who are going through the activities, I can fairly conclude that basketball indeed is still the biggest sport in the Philippines. 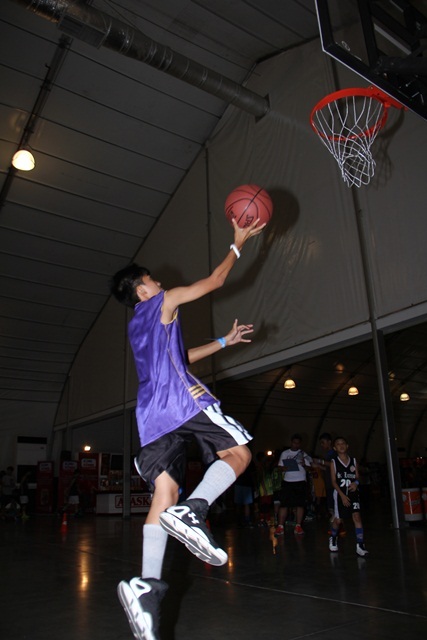 All these kids- boy or girl, tall or short, thin or kinda heavy – they all have this common love of the sport. 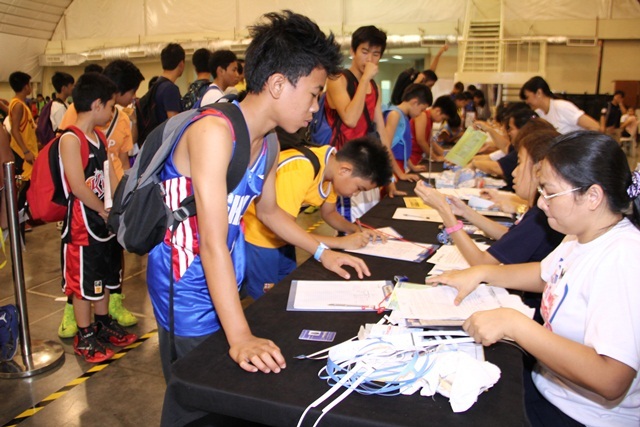 Last stop for the day was at the Score tabulation area where kids submit their completed score cards to camp officials and where at the end of the day, the Top boys and girls of the day will be asked to return the following day for the final selection activity. 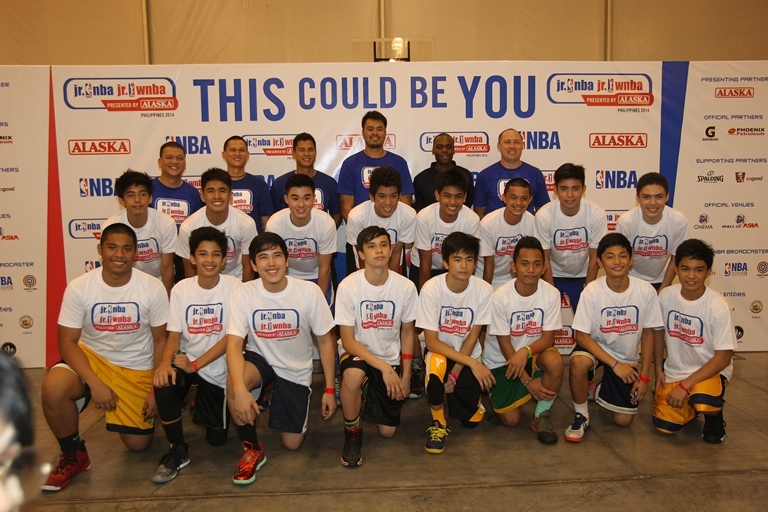 And here are the lucky Jr. NBA and WNBA Manila Regional Camp representatives. 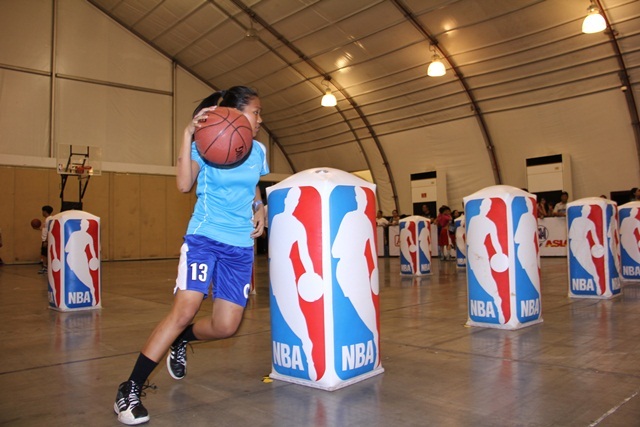 They will be joining the other region representatives this weekend for the Jr. NBA/Jr. 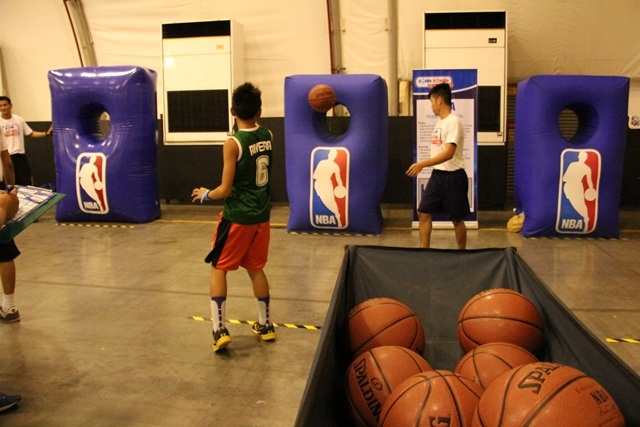 WNBA Philippines 2014 presented by Alaska National Training Camp where the final members of the Jr. NBA and WNBA will be selected. As a treat, Gordon Hayward of the Utah Jazz and WNBA Legend Tina Thompson will be in Manila to participate in the said event. Congratulations! Summit Natural Drinking Water once again helps athletes break all boundaries with the 2014 Asia Pacific Region’s North Face 100. The race features three trails, at 22K, 50K, and the ultimate running challenge of 100K from Baguio to Benguet on May 3 to 4. The race, which is also conducted in Japan, Thailand, Taiwan, Australia, Singapore, China, and Hong Kong, has been supported by Summit Water for three years running. Summit Water has long been a partner of Philippine national athletes who push the boundaries, and they are excited to be a part of such a thrilling challenge. The upcoming 38th National MILO Marathon in 2014 will be Coach Rio’s fourth year to organize the prestigious competition, and true to his commitment, he has ensured to improve on each one with each event proving to be bigger and better than the last. 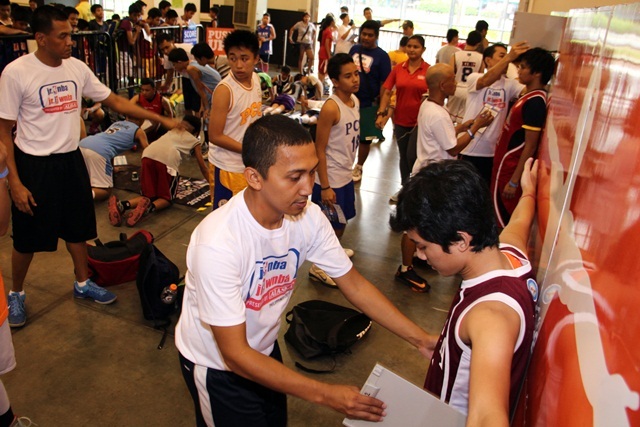 In 2011, Coach Rio was instrumental in making the National MILO Marathon an internationally-recognized racing event with the certification of the Association of International Marathons (AIMS) and International Association of Athletics Federations (IAAF). Compliant with the global technical standards of the AIMS and IAAF such as course timing and measurement, safety and race organization, the National MILO Marathon Manila race is now on the world map of marathon destinations. In 2012, the number of participants in the MILO Marathon reached the 214,000 headcount; and in 2013, Cebuana Mary Joy Tabal set a new record for the women’s 42K event, making her the fastest female marathoner in the country. Tabal will be joining top male runner Eduardo Buenavista in the upcoming 2014 Paris Marathon as part of their prize for winning the 2013 National MILO Marathon. For MILO’s 50th year anniversary in 2014, Coach Rio says there will be more surprises in store for those participating in this year’s National MILO Marathon. After winning races in the UAAP and countless marathons, Coach Rio also competed in several international running events such as the Paris Marathon and Boston Marathon. Apart from his extensive experience in the sport, it is also by his hard-earned diploma in Physical Education at the UP College of Human Kinetics that Coach Rio earned his salt as a bona fide running coach. Most of his clientele include top-ranking business executives, celebrities and elite runners, but it is his entrepreneurial spirit and passion for running prompted Coach Rio to take it a step further and become a race organizer. Today, he has positioned himself as one of the country’s most trusted names in organizing marathon events. Beyond the scale and milestones of the National MILO Marathon, it is the Help Give Shoes advocacy, which started in 2010, that deeply resonated with him. In order to encourage Filipino children to continue reaching for their dreams, MILO pioneered the Help Give Shoes advocacy, which enables every participant of the National MILO Marathon to donate a part of their registration fee to support the cause. MILO then matches the total amount collected to provide shoes to deserving public school students identified by the Department of Education. Since 2010, MILO has already donated 34,200 pairs of brand new running shoes nationwide, and aims to give 16,000 pairs more to reach the total count of 50,000 in celebration of its golden anniversary this year. It is MILO’s unwavering passion to drive young champions that inspires Coach Rio make every race in the National MILO Marathon a memorable and enjoyable experience for runners and spectators alike. Coach Rio believes that the National MILO Marathon’s advocacy unites people from all walks of life and provides a breeding ground for athletes where they can hone skills, gain deeper knowledge of the sport, and acquire values for a brighter future. Coach Rio will continue to organize the National MILO Marathon. 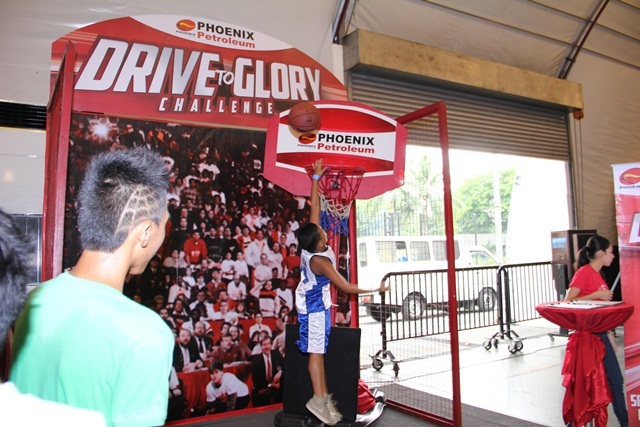 This sporting event, with its rich history, expanding scope and growing attraction from hundreds of thousands of participants, is testament to MILO’s longstanding commitment to develop the Philippine athletic community and inspiring athletic excellence among Filipino runners especially the youth. 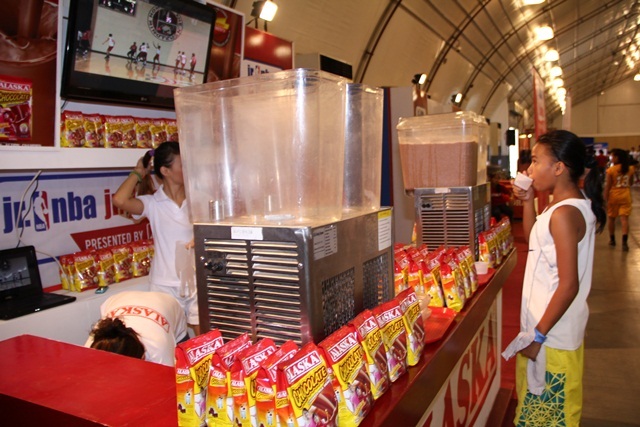 For more information on MILO, log on to the MILO Philippines official website (http://ww1.nestle.com.ph/milo/ssc/index.html) or Facebook page (https://www.facebook.com/milo.ph). Follow MILO on Twitter (@MiloPH) and Instagram (@MiloPhilippines).